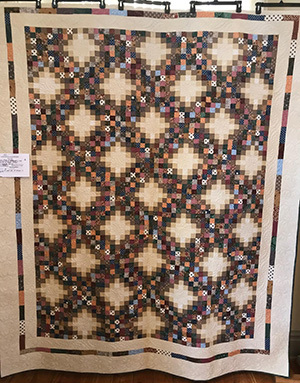 Quilt show features a Mormon pioneer handicraft kept alive by today’s aficionados. 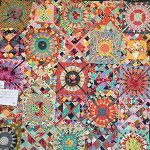 A patchwork of quilts is expected to show up at the Scandinavian Festival Quilt Show — hand sewn, machine sewn, appliqued, pieced — perhaps even antique. The show at the Ephraim Co-op, 96 N. Main St., will show off a pioneer handicraft that hobbyists and artists alike keep alive in the present day. The quilt show is Friday 10 a.m. to 6 p.m. and Saturday from 9:00 a.m. to 5 p.m. Many quilters are people who like to sit down, be with others and work together on puzzles, said quilt show coordinator Marcia Christensen. 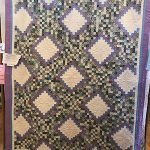 Local quilting groups, like the Mountain Valley Quilting Group in Gunnison, the Horseshoe Mountain and Stitchin’ Sisters groups in Ephraim, and Quilt Keepers in Wales, will all contribute quilts to the show as well. 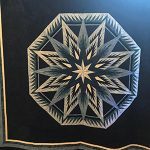 Antique quilts that may have been in the family for years are also welcome, as are quilts by young or first-time quilters, and quilted projects other than blankets. But tied or kit quilts are not encouraged, Christensen said. The show will not be judged, but visitors may vote for their favorites and first ($50), second ($30), third place ($20) and Scandinavian Festival Board choice prizes will be awarded. To show a quilt, bring it to the co-op by Wednesday from 10 am to 6 pm or Thursday between 10 and 10:30 am. The deadline to bring a quilt is Thursday at 10:30 am. For more information call Marcia Christensen, 435-283-2212 or 435-851-4061.